The very first thing for a large business like a textile unit or a parts manufacturing unit, one mustn’t postpone, delay or compromise with the security. Considering the machinery setup that costs very expensive and the whole business is generated through those machines, now, would anyone go ahead and risk everything? No! right? That is why industrial roller shutter doors were recommended by Quick Shopfronts Limited to eradicate the thought of theft, unauthorized entry, mishappenings and misfortune from the mind. The installation of roller doors took place in Croydon, Greater London, affluently we have completed the task and objectives within the time period with the best quality products and services. Industrial Roller Shutter is the befitting answer to all the big scale businesses which occupies a large space of land and valuable products which needs special care and attention. 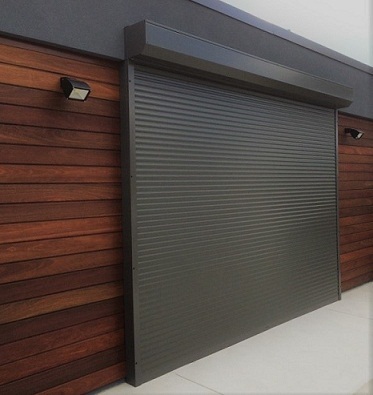 Solid roller shutter plays a consequential role when it comes to the safety of the business or premise. Roller Shutter Installation is done by our diligent crew engineers who understand it very well, and are keen to deliver the supreme quality work which makes the owner of business sit back and relax, knowing that one phone call would all the necessary work. Roller Shutter Doors are super beneficial & lucrative. How? We bespoke on our manufacturing as we are also known as the roller shutter manufacturer that it will not deviate a single inch from where it is meant to stay, hold and grab the position. Best products consideration: to levitate the standard of the business, shop, store etc. we only pick the superior products which perform the heavy duty, making it long lasting. Continuous endeavour in bettering our self: No one is perfect, nonetheless we thrive for the best. The versatility of option: whether your requirement is insulated roller shutter or commercial roller shutters etc. we have it all. Life Time Customer Support: In case of emergency, repairs and regular checkups, we are there for you. We do not entertain false promises, our honesty, integrity and transparency do all the work for us.